What’s the Best Video Hosting for an Association’s LMS? Are you looking for a place to host your association’s videos to use in your learning management system (LMS)? You are not alone! “Where should I host our videos?” might be the most common question we receive when on-boarding our association LMS customers in the EthosCE LMS. And for a continuing medical education (CME) association’s LMS, which is our specialty, there are often additional requirements around copyright and security. Why is video hosting a hard choice to make? There just are so many video hosting providers! According to Wikipedia there are more than 50 US-based video hosting companies. It’s hard to understand the different value proposition for each video hosting provider. With so many options to choose from, knowing which one is right for an association LMS can be difficult. And for a CME LMS, a veneer of professionalism is important too. Many video hosting options can feel inappropriate and consumer-focused. Low-cost: Video hosting has been “solved” so there is no reason to overpay. High-quality: The video player must be gorgeous with smooth streaming and mobile support. Secure: At the least, domain-based security must be available. Domain-based security means that the video can only be viewed on the domain of your choosing. In this case it will be your association’s LMS domain. Sprout video hosting offers engagement reports you can use to measure member satisfaction. Sprout’s pricing model is flexible, offering hosting starting at $25 a month. It includes important association LMS video hosting features such as privacy, engagement tracking and embedded forms. Sprout’s engagement tracking will allow you to measure the value of your video to members. Is anyone watching, and if so, for how long? They also offer “Video sites,” a feature that allows you to privately share a group of videos with members. It’s a de facto library of resources that members can browse and search. This can be a nice member benefit on top of the LMS video hosting. Sprout donates a portion of its proceeds to the National Forest Foundation. What’s that mean? It’s not clear, but but it makes for a nice story and brand tie-in, especially if your association is involved with environmental issues. 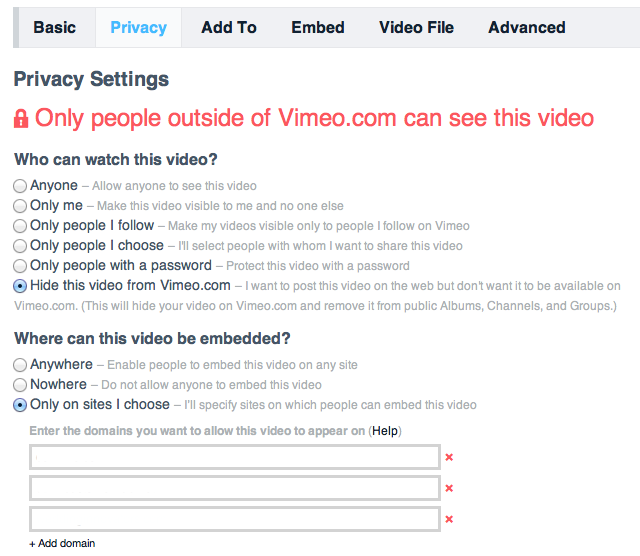 Vimeo hosting offers privacy controls necessary for protecting association member benefits. We use Vimeo here at EthosCE and we’ve always been satisfied with the quality of the player and privacy controls. It’s the lowest cost offering that meets association LMS requirements. 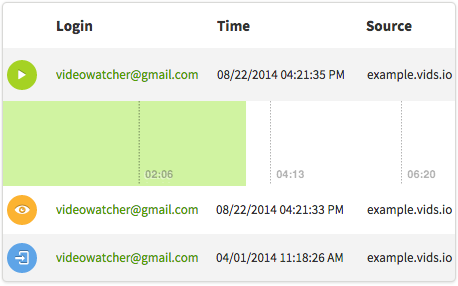 Wistia video hosting provides robust analytics reports. At $100 a month, Wistia PRO is a bit more expensive, but still in the realm of reasonable for most associations LMSs. There is a free plan, which you should try first, but with support for only 3 videos you’ll outgrow it quickly. 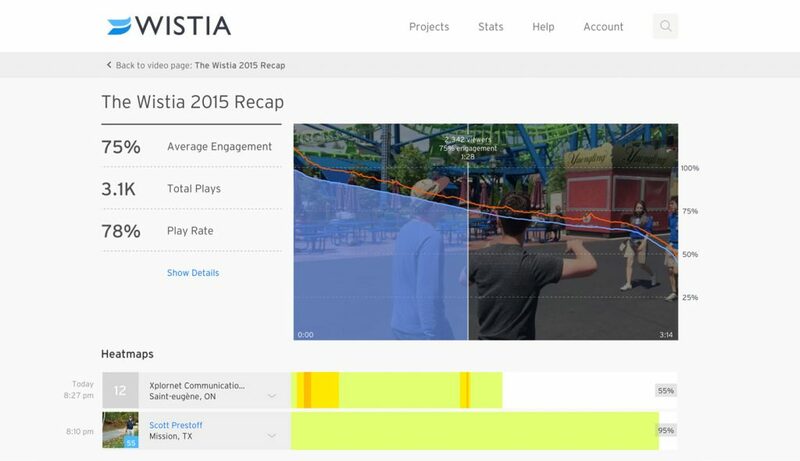 Wistia’s value proposition for association video hosting is the power of its analytics and marketing tools. You can do things like embed forms embed forms into videos and view reports on viewer engagement. These are great features you can use to your members’ benefit to collect feedback and help improve your educational videos based on engagement. We have a lot of customers using YouTube. It’s familiar, high quality and free! And because it’s a Google property, it also makes your video very findable. That said, it’s only appropriate for association LMS videos that are meant to be public. If your educational content is a member benefit (and it usually is), YouTube won’t work. So how do I make a choice of video hosting providers? Sprout, Vimeo and Wistia are all great choices. The price point is so low, there is very little risk to getting started with one. If you don’t like it, you can easily switch later. Sign up for the free accounts, test them out and see what you like best. Don’t stress about it, and save your critical thinking resources for more important topics like how to increase revenue streams in your LMS! What about enterprise-level video hosting providers? We’ll be discussing video providers such as Kaltura and Warpwire in a future post. Do you have experience with video hosting in your association LMS? Have a favorite provider? Let us know by leaving a comment below. Staffing Your LMS Project 2013 Medbiquitous Conference Webcasts Now Available!